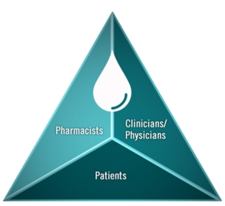 We are committed to enhancing patient safety through innovation. 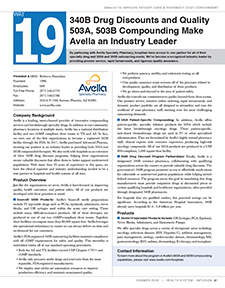 Our research and development efforts provide customers with tomorrow�s technologically-driven service enhancements. 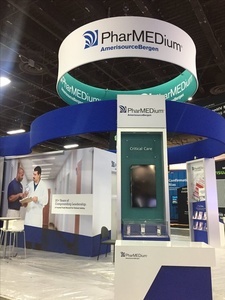 Our strategic partnerships with drug and device manufacturers and clinical thought leaders work synergistically to enhance quality of care. 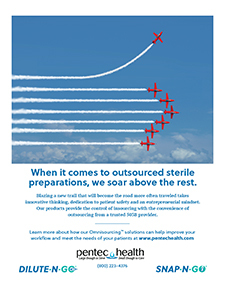 With Pentec Health as your 503B provider of outsourced sterile compounded drugs, you don�t have to worry about shortages or the accuracy and safety of our pharmaceutical products. 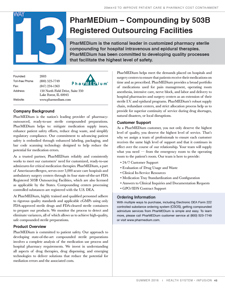 The systems of our state-of-the-art, FDA-registered outsourcing facility greatly reduce the risk of human error and ensure consistent production to meet your needs. 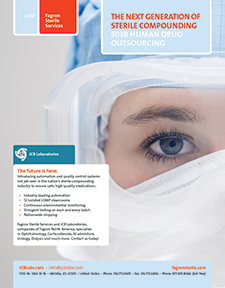 By combining the convenience of outsourcing through SNAP-N-GO® and DILUTE-N-GO® with the control of insourcing, your hospital pharmacy will greatly benefit from Omnisourcing� solutions, our sterile IV compounding innovation. Our products were designed by people who know how to meet your daily needs because they have been (and still are) in your shoes. 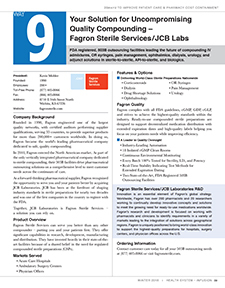 Snap-N-Go® products are concentrated, sterile solutions that come in single-dose vials and must be further diluted before administration. Each vial delivers a precise dose or a desired concentration once its contents are introduced and mixed with a diluent bag of choice. Dilute-N-Go® products are concentrated, sterile solutions that come in single-use syringes and must be further diluted before administration. Each syringe delivers a precise dose or desired concentration once its contents are introduced and mixed into a diluent bag of choice. 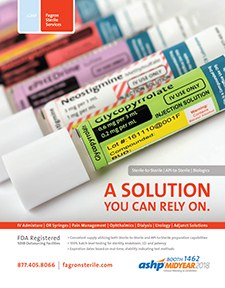 A pharmacist or technician can create a more accurate patient-specific dose by simply choosing the correct Dilute-N-Go syringe and fully introducing its contents into a diluent bag of choice. 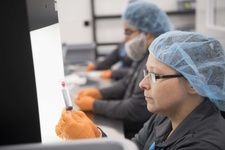 Pentec Health�s state-of-the-art outsourcing facility is designed to be cGMP compliant in its operation to ensure quality and safety of all products. 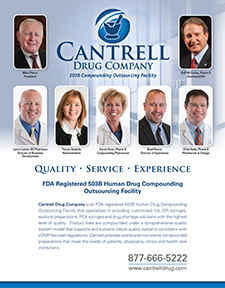 Our validated compounding process removes the risk of human error and helps to ensure consistent accurate production. Every dose produced at our facility proactively includes a quality assurance report detailing its purity, potency, sterility and stability. 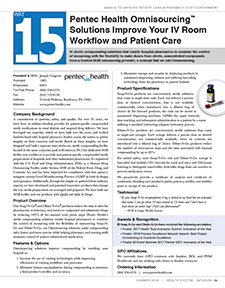 With this unprecedented transparency and innovation, your hospital can confidently place its trust in Pentec Health for 503B outsourcing. 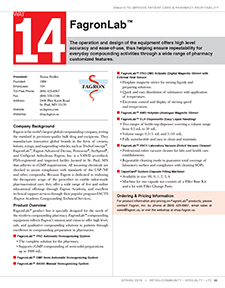 SCA Pharma is a privately held, FDA 503B outsourcing facility. 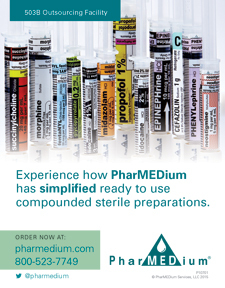 Our goal is to provide the highest quality sterile admixtures and pre-filled syringes for our clients and their patients. Licensed in all 50 states, SCA offers a robust catalog, as well as outstanding Quality and Customer Service. 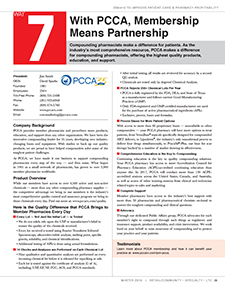 At SCA, quality is given, not an assumption. 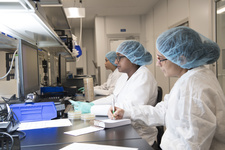 SCA performs 100% final product sterility testing and full endotoxin testing on every batch of sterile products, prior to release, fulfilling requirements for Endotoxin (Pyrogen) testing per USP <85> and Sterility testing USP <1223> Guidelines and cGMP guidance. Since October 2017, Environmental Monitoring (EM) results are also a part of release criteria. 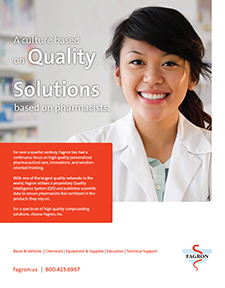 SCA can provide a Certificate of Conformance (C of C) Lab Report for every lot produced, to help ensure hospital pharmacy teams they have the documentation they need. 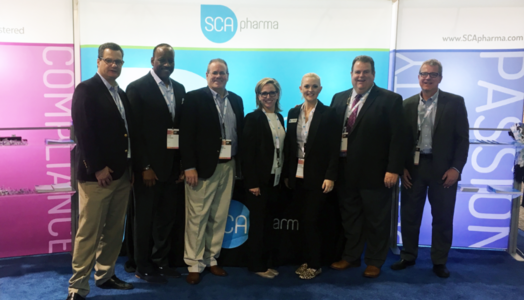 Superior customer service that goes above and beyond makes an enormous difference when partnering with SCA Pharmaceuticals. 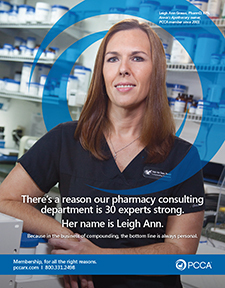 We take pride in being an extension of your pharmacy, that is always there when you need us. 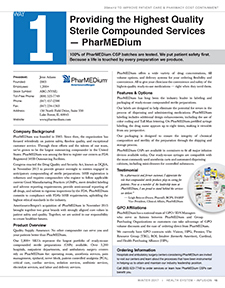 FDA registered, 503B outsourcing facilities leading the future of compounding IV admixtures, OR syringes, pain management, ophthalmics, dialysis, urology, and adjunct solutions in sterile-to-sterile, API-to-sterile, and biologics. 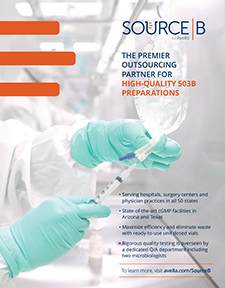 IV sterile compounding solutions that enable hospital pharmacies to combine the control of insourcing with the flexibility to make doses from sterile, concentrated compounds from a trusted 503B outsourcing provider, a concept that we call Omnisourcing. 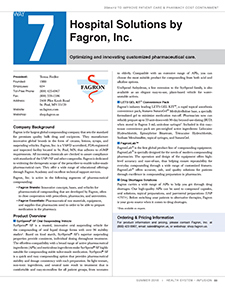 Hospital Solutions by Fagron, Inc.
Optimizing and innovating customized pharmaceutical care. 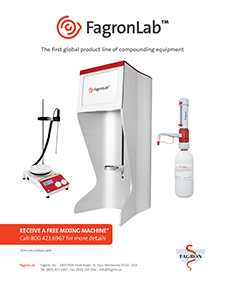 The operation and design of the equipment offers high level accuracy and ease-of-use, thus helping ensure repeatability for everyday compounding activities through a wide range of pharmacy customized features. 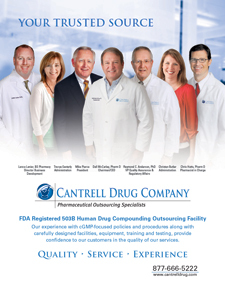 The leading FDA 503B outsourcing facility and only certified HUBZone 503B in the U.S. There's just one leader in outsourced CSP production. 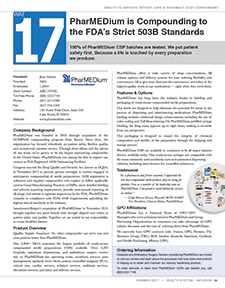 The Drug Quality and Security Act, signed into law on November 27, 2013, creates a new section 503B in the FDCA. 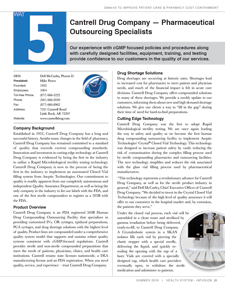 Under section 503B, a compounder can become an "outsourcing facility." 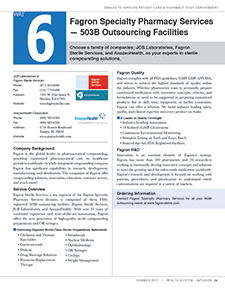 The law defines an "outsourcing facility" as a facility at one geographic location or address that is engaged in the compounding of sterile drugs; has elected to register as an outsourcing facility; and complies with all of the requirements of section 503B. An outsourcing facility can qualify for exemptions from the FDA approval requirements and the requirement to label products with adequate directions for use, but not the exemption from current good manufacturing practice (CGMP) requirements. - must meet certain other conditions, such as reporting adverse events and providing FDA with certain information about the products they compound. 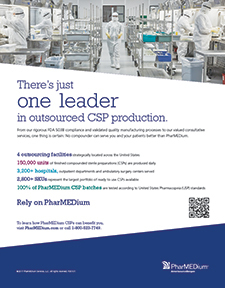 SCA Pharma Awarded National Outsourced I.V. 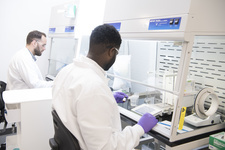 Admixture Services Agreement with Premier Inc.
Cantrell Drug Company today announced it has entered into an exclusive agreement to become the first human drug compounding outsourcing facility to utilize Aseptic Technologies' closed vial system for aseptic filling of injectable drugs. 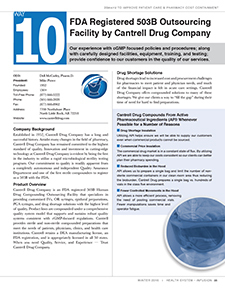 Outsourcing facilities were created under the federal Drug Quality and Security Act (DQSA) enacted in November 2013.